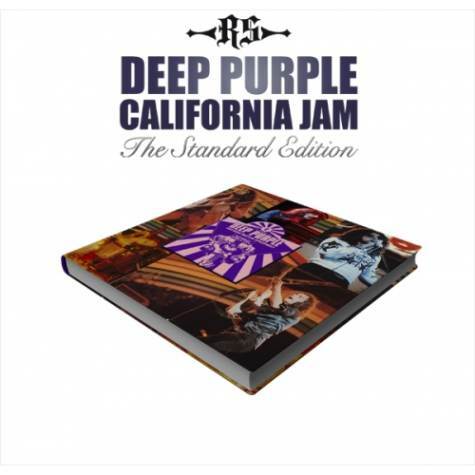 A new, limited edition book chronicling Deep Purple’s appearance at the California Jam is due in December. On April 6, 1974 Deep Purple appeared on stage at the California Jam festival at the Ontario Speedway in California. The band’s performance was one of the first to feature their third line-up, which included vocalist David Coverdale and vocalist/bassist Glenn Hughes. Taking top billing at the all-day event, and with great weather, Deep Purple and the other bands drew a crowd of around 165,000 people. It became the largest single-day paid attendance in U.S. rock concert history. Collecting together hundreds of black and white and colour images from a number of photographers who had all area access to the concert (and rehearsals), the large 12" by 12" format presentation allows these images to shine. Most of the photographs have never been seen before and are being fully restored and colour corrected. In total this is the most comprehensive publication ever devoted to a single Deep Purple performance and is certain to excite fans of the band around the world. This premium edition is numbered and individually signed by the great Jon Lord in June 2012. The 288 page hand-bound coffee table book is bound in Purple recycled leather with a silver foil emboss to the front. Printed on 170gsm artpaper, the pages will be guilt edged and hand stitched. The book comes in a recycled leather slipcase and is presented in a beautiful leather style clamshell box with inlaid colour graphic. Alongside this is a heavyweight double vinyl album of the live recording from the concert, together with reproduction back stage passes, poster and certificate of production. For full details and to order your copy, click here.